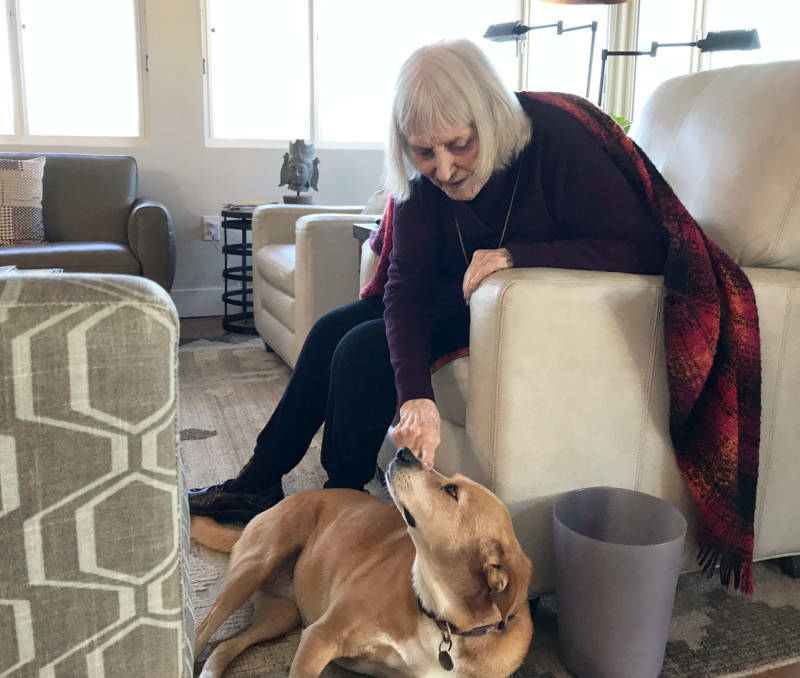 At 3:00 p.m. on a windy February day in San Diego, 100-year-old Ginny Davenport — with her smiling eyes and flawless manicure — is excited about the evening ahead. The girls, as Ginny calls them, are her daughters. There’s 69-year-old Kelly and 67-year-old Riley. Both sisters are married. Riley is retired and Kelly is semi-retired. They have children. Kelly has a grandchild. 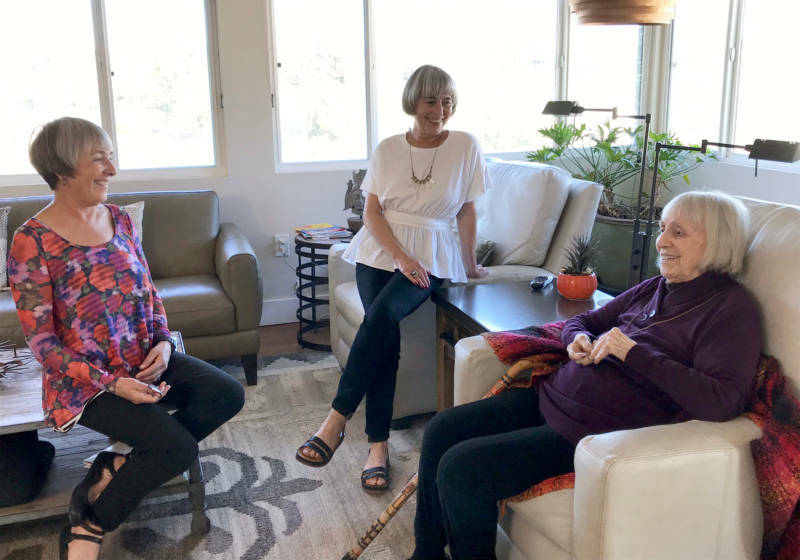 Riley Davenport said for her family, resources and planning have been key in taking care of her mom while maintaining the freedom of retirement. Ginny’s older daughter Kelly Davenport said the sisters considered moving their mom to a senior community. Today, Ginny reads novels about that era. There’s the romance about a time-traveling World War II nurse. “I’ve been rereading The Outlander because I like it,” Ginny said.